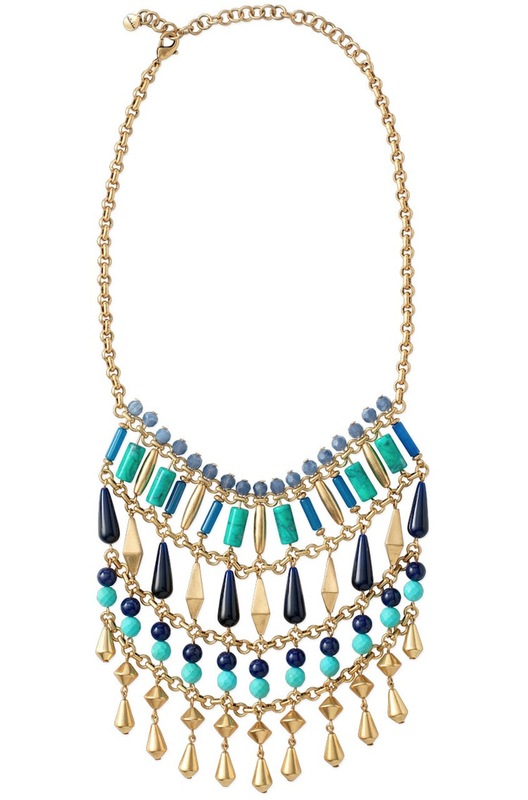 We love the summery feel of this statement necklace featuring blues inspired by the Indian Ocean. 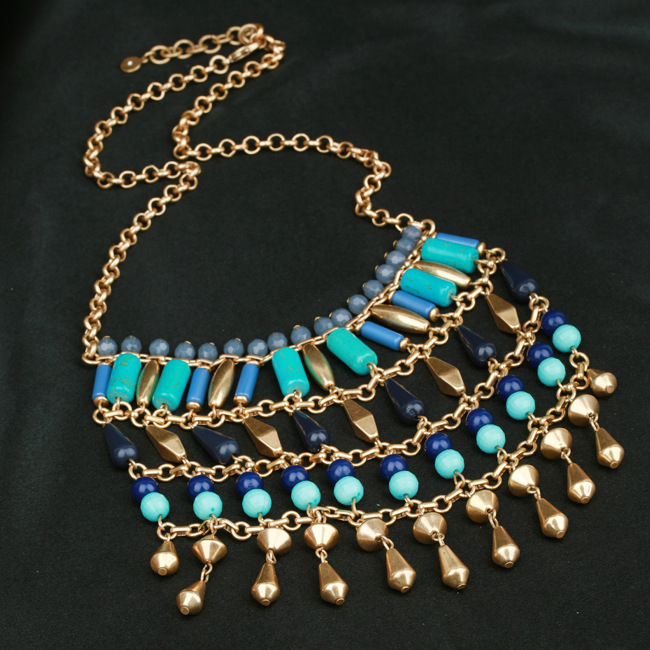 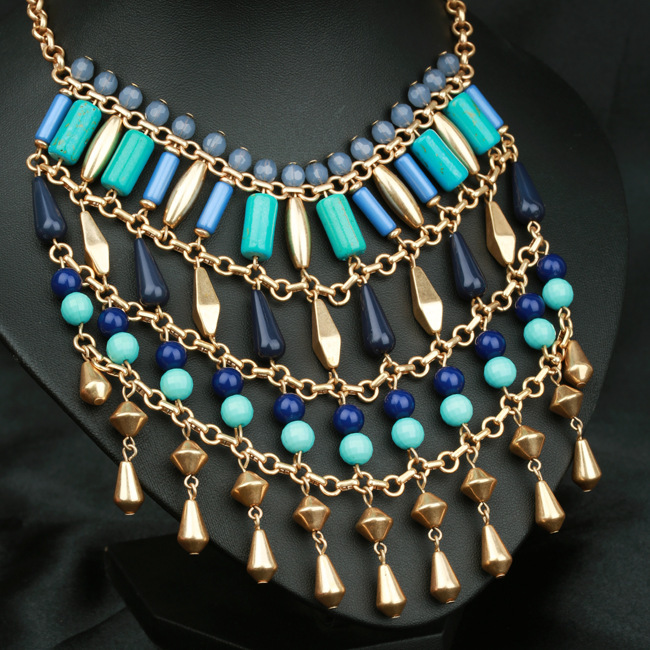 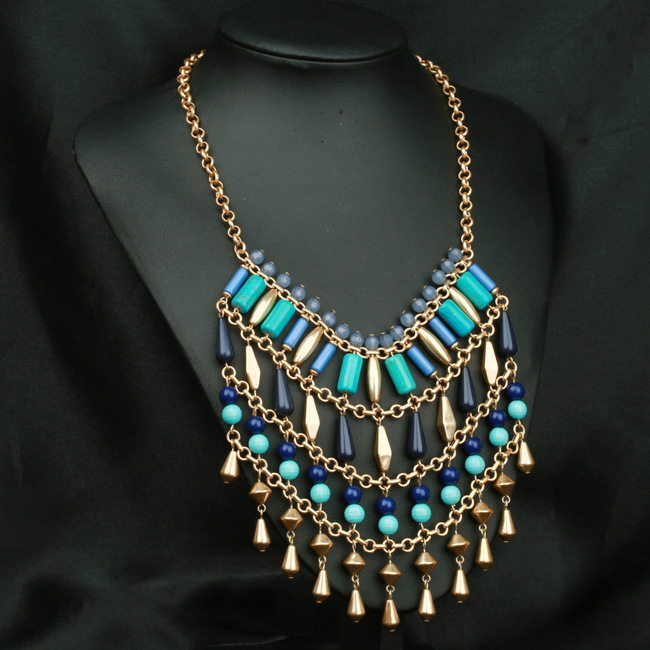 Hand assembled with genuine turquoise stones, lapis blue beads, and accented with vintage gold plate onto a brass chain. 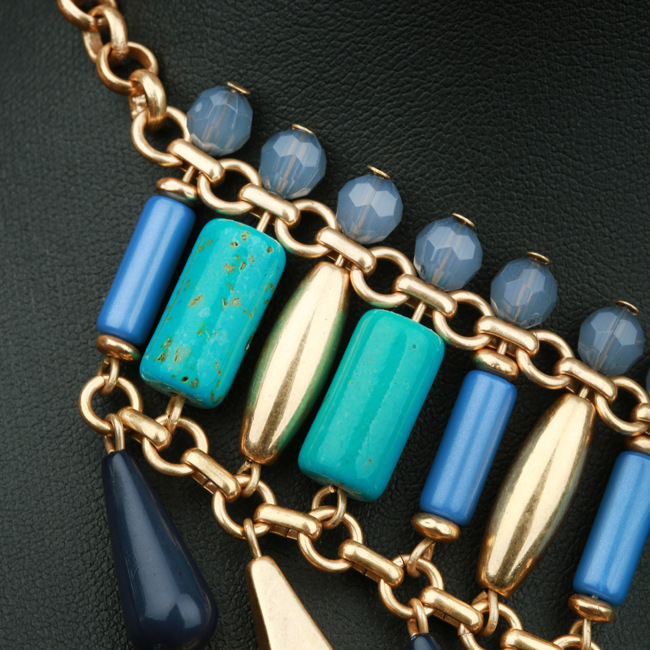 Airy and light with lots of movement, it looks equally stunning long or short over fresh white or any other shade of bright color. 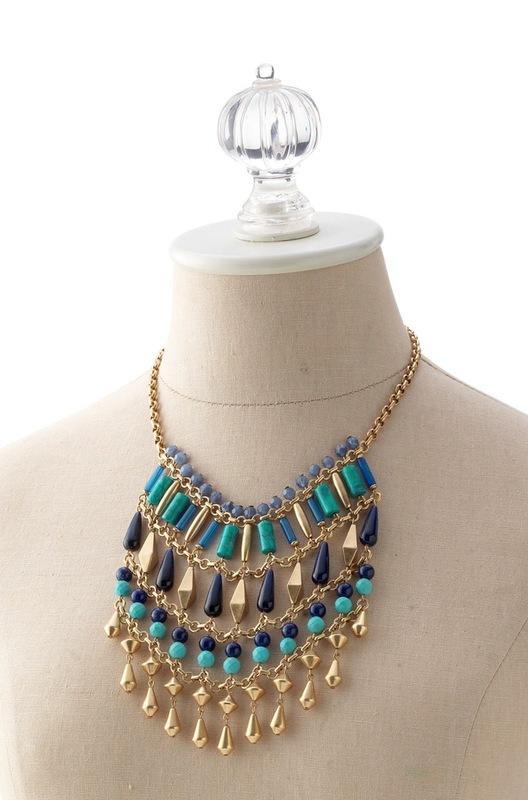 17" length with 4" extender.